The launch of Chevrolet Sail UVA is here at a starting price of Rs 4.44 lakh. Presented in four petrol and three diesel variants, the Sail UVA is seen as the prime rival of the best selling hatchback in its segment Maruti Swift. But at this price, will the Sail UVA be able to give some resistance to Swift? Is putting the starting price exactly the same as that of Swift (at the time of launch) will make it stand in competition with it? Are the brand value, legacy and a trust for Maruti will cease to matter just by seeing that the price of the Swift and the Sail UVA are the similar? Let’s find answer to such questions. The first thing that a car sees is the brand. Chevrolet is a brand that has maintained its visibility by offering such cars which are known for their mileage and performance. Chevrolet Tavera and Chevrolet Beat Diesel are the best examples in different segments. On the other hand, Maruti cars are known for their dependability, performance and high value for money. Equally important to mention is the resale value. Still no other car can match the resale value of Swift. Another factor that drives the psyche of the car buyers is the presence of this hatch in the country and how it has been taken. 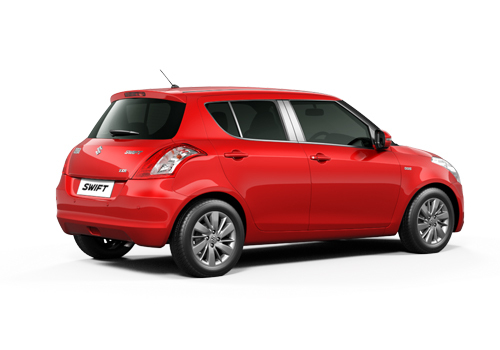 Swift has been for 7 years now and it has been tried tested, proved and again proved to be a car that anybody can buy blindfoldedly. However, the Sail is a new car and it is not from Chevrolet but from its Chinese partner. In spite of all these negatives there are big plus in favour of the Sail as well. Looking at overall exteriors of both the cars, Maruti Swift easily emerges winner as it has got the sportiness of a compact hatch, while Sail looks a bit of old school sorts. But thanks to the signature-grille and Cruze-like vertical headlamps it bestows a bold appearance. Conversely, looking closely at the width, one can be relieved with the fact that Sail is bound to be spacious from inside, albeit Swift looks dubious on this juncture. Now this is called interior S-P-A-C-E. There is very adequate scope for 5, better leg-room, head-room and knee-room too. Moreover, at rear seat cushioning you get sofa-like feeling, which is rarity in modern-day hatchbacks, also wide rear-glass-windows make you sense openness and not claustrophobic like Swift. Lots of storage and more storage in the form of rear 60:40 split and flat-folding seats alongside large boot compared to Swift makes UVA voluminous. There is dual tone dash to counter the all-black dashboard of Swift. The steering is very stylish with use of chrome in Swift against plain looking UVA’s. There is no auto climate control, steering mounted audio controls and seat height adjust for driver. The music system is superior compared to that in Sail UVA, whereas absence of Bluetooth connectivity is felt in Swift. The feature of USB and AUX-in connectivity is at hand in the two. On the performance output and ride-handling in city conditions, Sail UVA Diesel is ahead of Swift offering better grip. On the braking and high speed stability aspect both are accurate, while Sail grunts slightly louder with when revved up higher. Furthermore, the safety element is handled with decent care in the two with ABS, EBD and others. The first foremost thing that will work in support of Sail UVA will be high-waiting period for Maruti Swift. Another is the practicality/versatility aspect, also some upper hand on features and better ride quality will make it an instant hit in the segment beating out Swift tolerably. Please do not buy any model from .gm motor as am a great sufferer having aveo . Both are offered attractive looks and luxury feels. Not only price and features but also specifications of Chevrolet Sail UVA are competitive to the Swift. A true comparison but yet the Swift is trusted brand more value for money than Sail UVA. 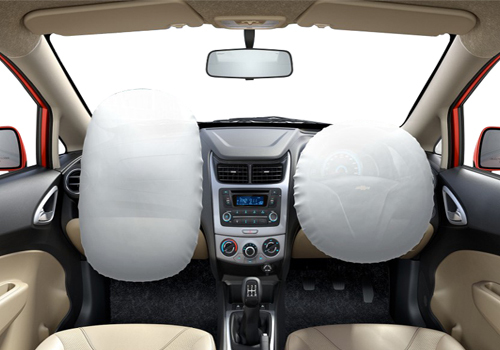 Chevrolet Sail UVA comes with advanced features. But I like Maruti Swift..
Chevrolet Sail is good choice compare than Maruti Swift, Sail is long hatchback. i would like take sail uva in three days..b'cause its spacious and nice look. recently purchased SAIL UVA LS with all accessories . It is Long , more features in very good prices then swift. Sail Diesel is true fighter with plenty of cabin space with excellent tuned Fiat engine. People were adding false statement just compare by your own before making any decision. Few things need to highlight. <br /> <br />Price Diesel starts with 5.29 lacs in which u will get Tilt steering, Power window front, electronically adj both mirrors ( I got Gear & central locking Also ). mileage in city 17 – 18 and @ highway u can easily get 22. <br /> <br />Maximum of Indian chose Swift LDI or might extend to VDI where even they don’t get steering mount controls or electronically adjustable side mirrors so why every one compare in review. Sail gives unmatchable engine waranty of 1.5 Lacs kms did others do the same. <br /> <br />Best gear in its class and almost 50 K cheaper than Swift don’t compare it with Figo its worst in performance and mileage will never get mileage more than 18 even in highway and city avg. is 13 -14 km/ltr.